New York - An upstate New York pizza shop owner admitted Thursday he tried to recruit fighters for the Islamic State group in Syria. Under the plea deal, prosecutors agreed to dismiss a charge of attempting to kill military members and weapons counts, as well as charges of assaulting three sheriff’s deputies while in custody. He bought a laptop computer and camera for two recruits for a planned 2014 trip and paid $240 to help one of them get a birth certificate and expedited passport, authorities said. He wired $600 to a third person in Yemen to help pay for the person’s travel to Syria. Two of the recruits were FBI informants. 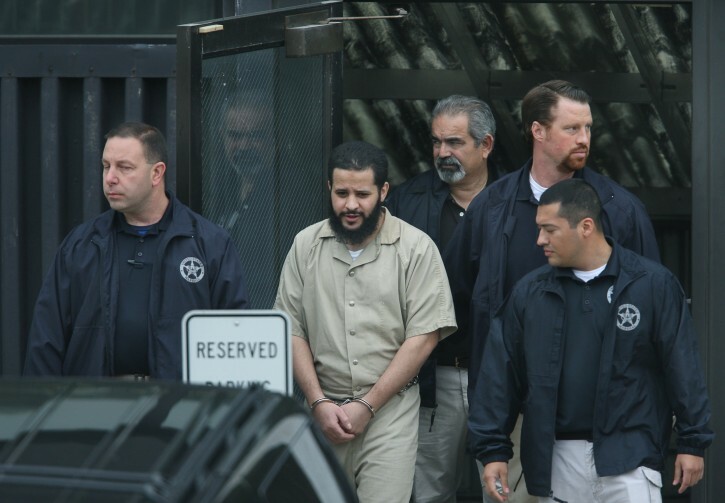 One had been encouraged by Elfgeeh to join in fighting overseas in 2013, the plea agreement said. “As it did in this case, the public should continue to report to law enforcement any suspicious individuals or activities and thereby hasten the demise of these killers,” Hochul said. This is unfair islamophobia! Racial profiling! muslim Americans LOVE America! It can't be that even one of them as celebrating 9/11! Can't be. Obama told us so! This is for the liberal idiots here who say we shouldn't be closing off immigration to get our security act together, as Trump recommends! Nuts jobs. We really need to welcome more of these Moslem refugees into our country, after all, who else will make us pizza? What is your IQ genius? Oh I forgot you don’t even know what your IQ is. I am sure that they never discussed IQ’s in the Mikvah. I guess you don’t know the meaning of profiling. In this case the defendant did an affirmative action to recruit for ISIS. Hope as you get much older, say like 80, you might understand the difference. Do you eat non Kosher Pizza? 22.5 years, that's it??? How does he not get a life sentence?? Be careful what you say .Mr Joe Field will have some "kind " words to say !!! Shut your hole. No one needs 'idiots', yes 'idiots',' like you posting their smart-aleck comments on a news website. This isn't your blog where you can spew crap all day. The fact you feel the need to reply to every comment you saw is the pathetic. See! A Christian terrorist! Take that Donald and Ted! From now on, US immigration officials should ban all Muslim pizza makers from entering the US.